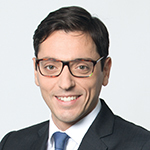 Dario Bertagna, Principal, Clean Energy Infrastructure, Capital Dynamics. The world of power generation has transformed dramatically over the last few years. In Europe and the UK, coal has been rapidly phased out and replaced by cleaner forms of electricity generation. This includes gas – particularly in the UK where gas-fired power plants are still the main source of electricity – but most notably renewable energy. 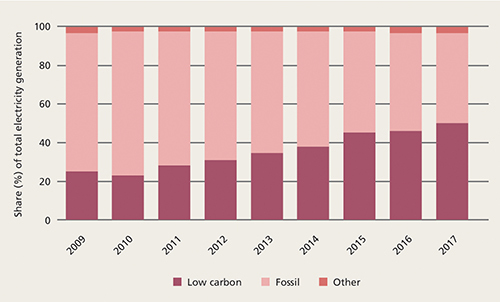 In 2017 the UK reached two major decarbonisation milestones. In April, the National Grid announced that, for the first time since fossil fuel steam-driven power stations were introduced in 1882, Britain went a full working day without turning on its coal-fired power stations. The second milestone was the year of 2017, when Britain supplied more than 50% of electricity from low carbon sources. These achievements are a direct consequence of a dramatic ramp-up of renewable energy deployment over the last few years. These significant milestones were possible because of the growth in the renewables sector, driven by government policies designed to incentivise the deployment of clean energy generation. This kind of activity is not limited to the UK – in fact, following the Paris agreement in 2016, most global governments have re-confirmed their commitment to renewables and CO2 reduction targets. Encouragingly, in the years since these governments first committed to decarbonisation (in Europe through various Renewable Energy directives from 2001), renewable energy policies that aimed to support the installation of clean capacity via numerous subsidy regimes have achieved their objective and transformed the power sector. The large and quick deployment of carbon-free power plants around the globe has accelerated the natural cycle of technological advances in the industry. Wind turbines and solar modules are now more efficient than they ever were, and, even more significantly, their manufacturing and building costs have decreased to the point where renewable energy is cost competitive with conventional power generators in most locations. Renewables, to use the industry jargon, have finally reached “grid parity”. These advancements – the declines in costs and the technological progresses – have been so far mostly evolutionary. However, we are now on the brink of a revolutionary transformation that will reshape the way we think about power generation. 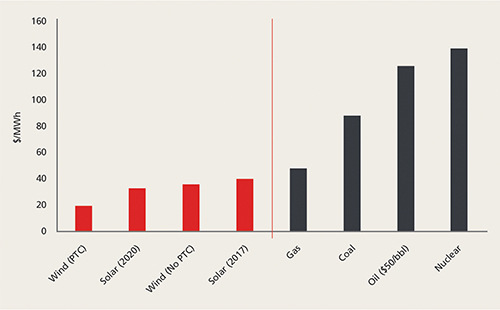 The main issue with two of the most common renewables sources – wind and solar power – is the inability to control when the electricity is generated. In simple terms, solar plants produce electricity when the sun is shining and wind farms generate power when the wind blows. These weather dependent technologies do not come with an on/off switch and, therefore, the electricity is instantly dispatched to the grid as soon as it is generated. The reality is that the final missing piece to a puzzle made with 100% renewables power is rapidly coming to the market. Battery storage is the solution to the intermittency issue and absence of control over the electricity dispatch. When a wind or solar farm is connected to a battery, it immediately gains the flexibility to store electricity and to use it whenever there is demand. Batteries do not even need to be installed directly adjacent to a renewable plant. As long as they are both connected to the same distribution infrastructure, renewable plants and batteries can be located miles away, allowing a storage facility to absorb power from the grid and then discharge whenever there is a need for it. The advent of battery storage technologies has been accelerated by the fast growing electric vehicle market. This new market has attracted huge investments which have led to a substantial reduction in battery cost as well as an increase in efficiencies: battery prices have already more than halved since 20112, or 20% annually since 20093 and the cost reduction is expected to continue over the next decade. In fact, it is predicted that electric vehicles will be cheaper than traditional internal combustion engine cars by 2022. The result of this is that there is, and will continue to be, less and less need for large conventional power generating plants. This added flexibility decentralises electricity generation, leading to the rise of smaller embedded renewable-generating parks found in more favourable conditions and locations. This new world of distributed and decentralised, easily controllable renewable energy will increasingly serve as a baseload power source – shaking up a century old industry and transforming the way we think of the power sector. What does a decentralised and efficient renewables power plant generate? Two things: clean electricity and disruption. After you eliminate the need for large baseload power plants and replace them with distributed renewables, a new era for the electricity market emerges where small scale generators can supply electricity directly to the end consumer, and large-scale fuel fired power stations get replaced by distributed virtual power plants. There is a fourth “D” in the renewables equation and that is digitalisation. With the Internet of Things and the introduction of peer-to-peer technologies such as blockchain, smart devices built with efficiency at their core can control power needs and balance a power supply chain made entirely of renewables. Once you free the power market from the fuel cost of conventional energy generators, you create a system with virtually zero marginal cost for producing electricity from renewables. Large industrial companies can enter into direct power purchase agreements with clean energy generators, serving the dual purpose of cutting their electricity bills and reducing their carbon footprint. Continuing investment in the sector is required to accelerate this revolutionary transformation to the power sector. 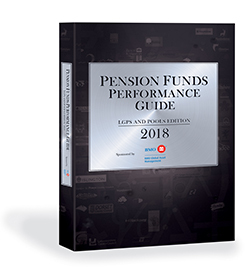 Investors that have been actively participating from the outset are best positioned to read and navigate a transforming market. Renewables have created a new set of dimensions and not only they are most relevant than ever, but they have never been more exciting! 1. Renewable Energy data shown on an unsubsidised basis. “Power & Renewables Disruptive Drivers: North America Focus.” Wood Mackenzie. February 2018. Conventional Energy data per “US Power Market Update.” Morgan Stanley Research. February 2018. Assumes $3.50/mmBTUgas price. 2. “What Needs to Happen Before Electric Cars Take Over the World.” New York Times. December 18, 2017. 3. “The Electric Car Tipping Point.” Boston Consulting Group. November 6, 2017. 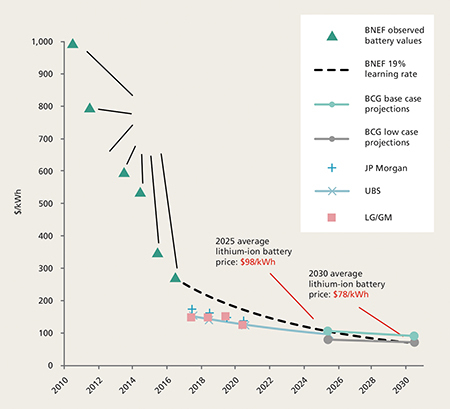 (3) “Bottom up cost scenarios for lithium-ion batteries.” Bloomberg New Energy Finance. February 6, 2017.